This year, we have already enjoyed attending the Staffordshire County Show, Waste ’16, Vertikal Days, Hillhead 2016, the Nantwich Show, the Anglesey Show and the Tom White Waste open days as well as hosting our own Mini Centre Of Excellence open day at our Stoke-on-Trent depot and an open day at our West Midlands depot. We were also proud to support the Commemoration Concert at the Irish World Heritage Centre (IWHC), in association with the Hallé. We will be attending the Speedy Expo on 2nd and 3rd November at the Liverpool Exhibition Centre. Visit us at The Showman’s Show on Wednesday 19th and Thursday 20th October to find out all you need to know about generators. To register for The Showman’s Show, click here. 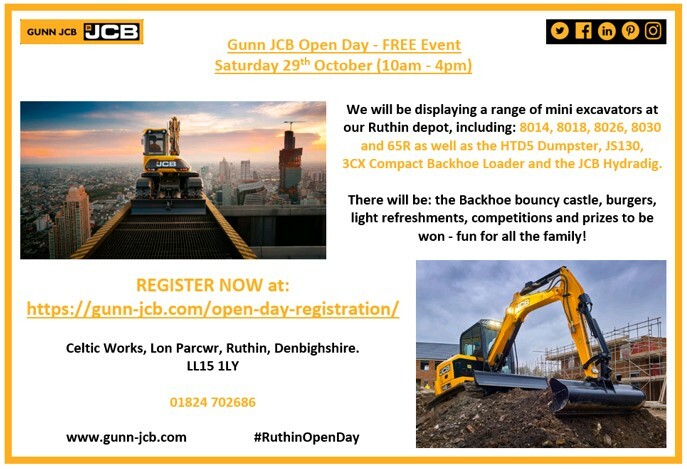 We will be hosting our next open day at our Ruthin depot on Saturday 29th October. Please see the flyer below for details. If you would like to reserve a place, click here. We look forward to seeing you there!